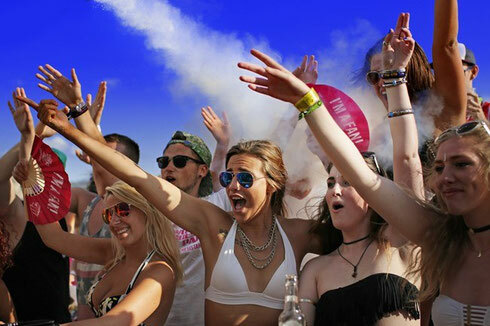 Clubbers heading to Ibiza this summer can get all the latest club news and gossip from a new App that was recently launched by Pukka Up. 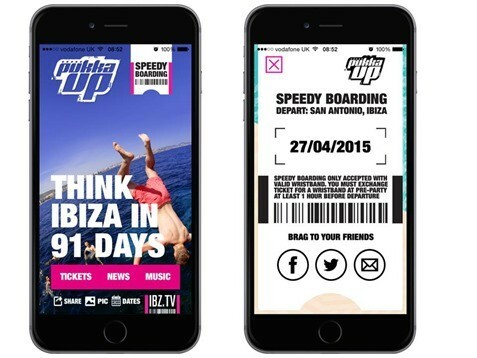 Available on Android and Apple smartphones and tablets, the App also offers music to download and Pukka Up features including Speedy Boarding passes for all Pukka Up ticket holders. Pukka Up’s Original Sunset Boat Parties are a staple of the Ibiza party calendar. Every Tuesday and Friday from 5 June – 22 September, a fleet of boats sail from San Antonio Marina to the backdrop of Ibiza’s stunning sunset and a soundtrack of hands-in-the-air house music provided by the Pukka Up DJs, complete with a complimentary welcome drink and water shows by its resident Jet Pack Flyboarder (Fridays only). On Tuesdays, ticket holders can carry on at Together at Amnesia with 2015 line-up including Chase & Status and Sigma, and on Fridays, TWO after parties at W.A.R. at Ibiza Rocks Hotel with heavyweights Gorgon City and DJ EZ, and then onto Shelter at Sankeys for underground vibes with the likes of Bondax and Chris Lorenzo. Tickets holders can also attend the Ocean Beach Club the following day to chill out or carry on the party. Tickets can be purchased from just €60 / £45 direct from the new Pukka Up App. And there’s no need for queuing this year as App users can take advantage of the Speedy Boarding pass – just show your pass in the App at boarding and jump your way to the front of the queue, and it won’t cost a thing! The App also features; a blog for all the latest happenings in Ibiza across music, fashion and lifestyle (powered by Ibz.tv); an App Shop to purchase the full range of Pukka Up merchandise; the Pukka Up Radio archive; artist mixes to download; in-app social posting to brag to friends about your impending trip to Ibiza, and a live chat function to speak to one of the Pukka Up team if you so need. Pukka Up Ibiza 2015 Official Movie from Pukka Up TV on Vimeo.